Description : Simplify Media software connects people directly from within their favorite desktop applications, without having to upload and download files via a website or learn a new user interface. 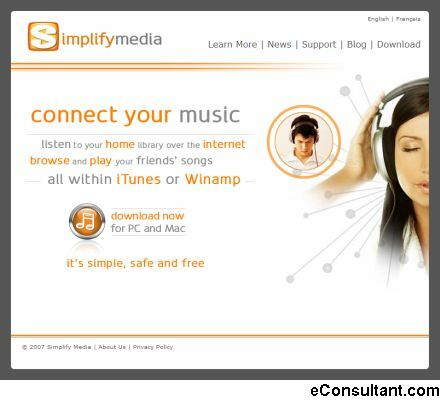 The first version of Simplify Media lets you listen to your home music from any computer or browse and play your friends’ music over the Internet, all within iTunes. software connects people directly from within their favorite desktop applications, without having to upload and download files via a website or learn a new user interface.